Elvis’ Estate sues County of Nassau et al. for recovery of proceeds from unrefunded ticket sales for a concert that was canceled because of his death. Court grants defendants motion for summary judgment, and considers issues of abandoned and unclaimed property, finding against the Estate. Supreme Court, Nassau County, New York, IAS Part IX. State of New York, Defendants. This motion by plaintiffs and the cross-motion by defendants seeking summary judgment is determined as follows. 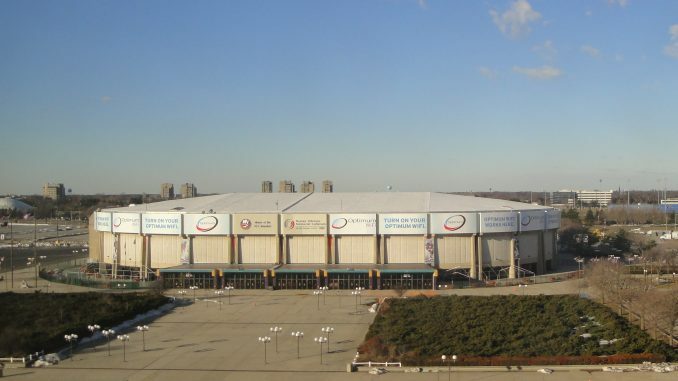 This is the continuing saga of the ill-fated Elvis Presley concert that was scheduled to occur at the Nassau Coliseum on August 22, 1977, but which was cancelled due to Presley’s unfortunate and untimely death six (6) days earlier. Plaintiffs commenced this contract action in 1983 seeking unrefunded ticket sales proceeds by service of a summons and complaint upon the County and State and related defendants. In 1989, plaintiffs moved for summary judgment and leave to amend their ad damnum clause. Defendant County answered and cross- moved for summary judgment. The State neither answered nor otherwise appeared. Plaintiffs argued that they were entitled to the unrefunded ticket sales proceeds because the County no longer had a reason to hold onto these funds since the six year statutory period in which the ticket holders could demand a refund based on a contract theory had expired. Defendant County, however, asserted that, pursuant to section 1310 of the Abandoned Property Law, these funds were considered abandoned property and that no one but the ticket holders could show a claim of title and right to the possession of these funds. This court rendered its decision, dated July 10, 1989 (NYLJ 7/14/89, p 32, col 1) granting leave for plaintiffs to amend its ad damnum clause and found that, as between plaintiffs and defendant County, plaintiffs had a right to the possession of the funds. However, in light of the County’s assertion that the funds constituted abandoned property, this court withheld final disposition of the funds, directing that the State be served with copies of the pleadings and motion papers as its participation was necessary in order to fully adjudicate the issue. Plaintiffs have since served the State as directed. The State, in its answer, asserts a counterclaim against plaintiffs and cross-claims against the other defendants claiming that, pursuant to section 1315 of the Abandoned Property Law, neither plaintiffs nor the other defendants have a legal right to the approximately $85,930.00 in unrefunded proceeds. Presently before this court are plaintiffs’ motion and defendant State’s cross-motion for summary judgment. The State now asserts its claim to the funds pursuant to the Abandoned Property Law. Plaintiffs, in support of their motion, assert initially that the State is in default, because, although the State was originally served with notice when they commenced this action in 1983, the State failed to answer or otherwise appear. The State, in response, and, in support of this cross- motion for summary judgment, claims that the one sentence directed at the State in plaintiffs’ original complaint, providing that “[t]he State * * * may have an interest in the subject matter” of the action, contains no substantive allegation or cause of action against New York State. Plaintiffs next argue that the State’s reliance on section 1315 of the Abandoned Property Law is misplaced. First, they assert that since they have, as early as April 12, 1978, demonstrated their interest in and right to the proceeds, the property cannot be considered abandoned. Defendant State counters plaintiffs’ argument with respect to section 1315 by indicating that only a claim by the ticket holders within the five (5) year statutory period and not the plaintiffs would have prevented the proceeds from being deemed abandoned. Thus, the fact that plaintiffs asserted a questionable right to the possession of the proceeds has no bearing on this issue. Thirdly, plaintiffs argue that this section does not even apply to funds held by a public corporation such as the County. The State contends that plaintiffs’ claim, that section 1315 is inapplicable when funds are held by the County, is without merit. They assert that the County was merely holding the proceeds in constructive trust for plaintiffs subject to the claims of the ticket holders for the five (5) year statutory period. Further, plaintiffs claim that if the proceeds were to be deemed abandoned property, and, thus, go into the State’s abandoned property fund, this would have the absurd effect of limiting by one year both the plaintiffs’ contract claims against the County and the ticket holders’ right to a refund. They attribute this to the fact that while the statute of limitations on a contract claim is six (6) years (CPLR 213), the statutory period in which property is deemed abandoned is five (5) years (see Abandoned Property Law § 1315). Defendant State submitted that the application of section 1315 does not have an absurd effect of limiting the ticket holders’ demands for refunds since all property in the abandoned property fund is forever subject to the claims of the original owners, i.e., the ticket holders. Finally, plaintiffs, in support of their motion, contend that they are equitably entitled to the proceeds because the unrefunded tickets have unique Elvis Presley “memorabilia” value. As such, the ticket holders have received good value for their purchase. The State, in opposition, argues that this assertion is baseless in that it was the intent of the parties at the time of the purchase that governs. 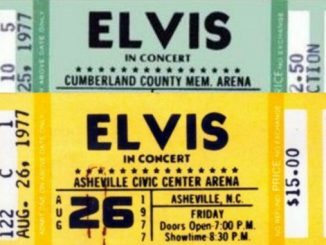 These holders purchased tickets to see an Elvis Presley concert, not to get a ticket with memorabilia value. 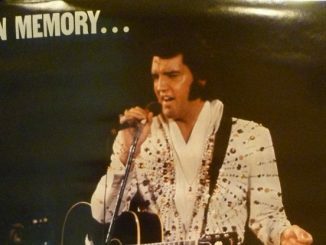 The memorabilia value occurred as a result of the unforeseen death of Presley. Plaintiffs’ contention that defendant State is in default is without merit. This would assume that defendant State was properly served with notice in 1983. Plaintiffs’ complaint does not on its face state essential facts required to give the defendant State proper notice of claim (DiMauro v. Metropolitan Suburban Bus Authority, 105 A.D.2d 236, 483 N.Y.S.2d 383). Plaintiffs’ three (3) proffered arguments with respect to the inapplicability of section 1315 are also without merit. First, the fact that plaintiffs, as early as 1978, claimed the right to possession of the funds does not in any way prevent the proceeds from being deemed abandoned property since only a claim by the rightful owners (ticket holders here) could have defeated this contention (see N.Y. Abandoned Property Law § 1315 [McKinney’s Supp.1990] ). Second, the fact that the County held the funds does not prevent application of this section. The County appropriately held these funds, subject to the claims of the ticket holders. Once the five (5) year statutory period expired, no claims having been made, the property was properly deemed abandoned (see, § 1315, supra). However, the County, as noted in this court’s earlier decision, did not affirmatively invoke the statute and did not comply with section 1310 of the Abandoned Property Law. Third, there is no “absurd limiting effect” on any claim that the ticket holders may have when section 1315 is applied. New York’s Abandoned Property Law is “custodial” in nature. As such, the State takes possession of the abandoned property “subject to the claims of the property owners [ticket holders]” (1 N.Y.Jur.2d, Abandoned Property § § 10, 31  ). Therefore, the ticket holders seeking refunds will not be limited in any way. In this respect the New York situation is dissimilar to the North Carolina statutory scheme (North Carolina State Treasurer v. City of Asheville, 61 N.C.App. 140, 300 S.E.2d 283) and more like, although not identical, to the Tennessee treatment of this situation (see Presley v. City of Memphis, 769 S.W.2d 221 [Tenn.App.1988] ). Finally, plaintiffs’ contention that they are equitably entitled to the proceeds because of the “memorabilia” value of the tickets is wholly without merit. This flies in the face of the basic tenet of contract law that it is the intent of the parties at the time of purchase that governs (see Schmidt v. Magnetic Head Corp., 97 A.D.2d 151, 468 N.Y.S.2d 649). 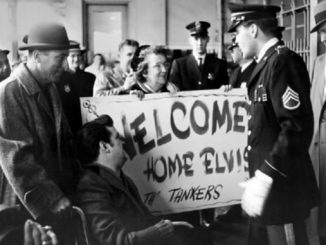 The ticket holders purchased their tickets with the intent of being admitted into an Elvis Presley concert. It was not their intent to purchase a piece of paper with “memorabilia” value. 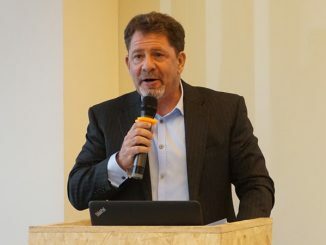 Since the ticket holders did not get what they bargained for, they are entitled to a refund if they so desire and any subsequent increase in the value of their unrefunded tickets, while creating an anomaly in terms of the outcome of this case, has no bearing on the substantive aspect of this issue whatsoever. (The anomaly being that the tickets are worth more as mementos than the ticket holder can recover upon application for the return of abandoned property.) “Evidence that the ticket is worth more now as memorabilia representing a contractual right than was the right itself is immaterial to this case” (Presley v. City of Memphis, supra ). This court is not blind to the obvious fact that the ticket holders, having failed to seek refunds these past thirteen years will likely never apply to the State’s Abandoned Property Law fund for reimbursement. [FN1] But the statutory scheme laid down by the Legislature requires that these monies, abandoned by their rightful owners, be preserved and retained by the State and made available to them upon request at any future time. Our Abandoned Property Law is a “custodial” statute, not an “escheat” statute. For that reason, the award of the funds at issue to the State pursuant to Abandoned Property Law section 1315 does not represent “a windfall to the state under these circumstances” (compare, North Carolina Treasurer v. Asheville, supra, 300 S.E.2d at 285). In that sense, New York’s law differs from North Carolina’s escheat statute and is akin to the Tennessee Uniform Disposition of Unclaimed Property Act. “Even though experience shows that abandoned property is seldom claimed, title to the property remains in the owner and never vests in the state” (Presley v. City of Memphis, supra). In sum, this court holds that the plaintiff Presley estate has no legal right to the funds now held by the Nassau County Treasurer. 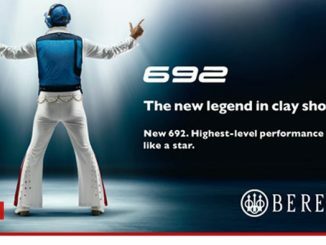 All rights of the plaintiff were terminated on the death of Elvis Presley, resulting in a void contract. The County of Nassau’s claim is limited to the sum of $5,000.00. The balance of monies now held by the Nassau County Treasurer shall be paid over the State Comptroller for deposit in the State’s abandoned property fund. Accordingly, plaintiffs’ motion for summary judgment is denied and the defendant/intervenor State of New York’s cross-motion for summary judgment must be and hereby is granted. The funds in question shall be turned over by the Nassau County Treasurer to the defendant State’s abandoned property fund pursuant to the terms of a judgment, to be submitted, the terms of which should include a direction that the funds be transferred within twenty (20) days of the date of service of a copy of the signed judgment with notice of entry. FN1. Save perhaps for one person who, having read of our earlier consideration of this case, has written to the court requesting a refund.